It was big news when the radioactive sewage sludge and slag were found in Fukushima Prefecture earlier this month (see my posts here, here and here). And it is almost no news when the highly radioactive (170,000 becquerels per kilogram) sewage slag was found in TOKYO, and the slag's been already sold as construction materials. Nippon Television's investigation has revealed that the radioactive materials in very high concentration, 170,000 becquerels per kilogram, had been found in the sewage slag from a sewage treatment facility in Tokyo. According to the Tokyo Metropolitan government, 170,000 becquerels per kilogram radiation was detected in the sewage slag sample taken on March 25 at Tobu Sludge Plant, a sewage treatment facility in Koto-ku. The samples taken at two additional facilities also showed radiation over 100,000 becquerels per kilogram. The slag has already been recycled into cement and other construction materials. The national government issued a guidance on May 12 as to how to dispose the radioactive sludge and slag in Fukushima Prefecture, which is to burn the sludge and store the burned sludge (slag) in containers. However, there is no such standard for radioactive sewage treatment outside Fukushima Prefecture. In comparison, the sewage slag from Koriyama City in Fukushima measured 334,000 becquerels per kilogram, and Koto-ku is 225 kilometers away from Fukushima I Nuke Plant. In the latest test (done on May 10-12), the result for the slag at the Koto-ku facility was lower, at 18,470 becquerels/kg (cesium-134 and cesium-137). 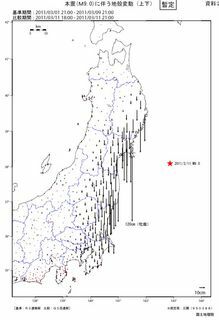 Instead, the treatment facility in Edogawa-ku (east of Koto-ku) tested high radiation at 53,200 becquerels/kg. And the highly radioactive sludge in Fukushima is to be burned. That's just great. According to Sankei News, the national government will allow the radioactive sludge and slag with low radiation (few thousands becquerels per kilogram) to be used as cement materials, as before, as long as the radioactive materials are diluted enough to the level that has no immediate effect on health. Between 10,000 becquerels/kg and 100,000 becquerels/kg, they should be put in a temporary storage. The government guideline doesn't say what will happen when the temporary storage becomes full. His assessment that seawater might cause recriticality in the Reactor 1 was what supposedly prompted Prime Minister Kan to order TEPCO to halt the seawater injection on the night of March 12, as I reported in my post yesterday. Now, Madarame, the head of the Nuclear Safety Commission and ex-Tokyo University Professor, says "I didn't say that." I'm sure that's the case, Mr. Madarame. Just like the comment you say you didn't make, that the 20 millisieverts/year radiation for school children is acceptable, or your current position that you knew from the beginning that it was a core meltdown and told the government so. Responding to the press conference earlier by the government/TEPCO consolidated headquarters to deal with Fukushima I Nuke Plant accident, Haruki Madarame, chief commissioner of the Nuclear Safety Agency told Asahi Shinbun on the evening of May 21 that he "didn't say there was a risk of recriticality. I feel insulted." The announcement distributed at the press conference regarding the timeline of the seawater injection said "Chief commissioner of the Nuclear Safety Commission was of the opinion that "there was a danger of recriticality"." But Madarame said, "That announcement was made by TEPCO, the Prime Minister's Office, and NISA. We will protest as the Nuclear Safety Commission." The Nuclear Safety Commission's secretary Shigeharu Kato was present at the press conference, but he didn't deny the remark allegedly made by Madarame. Haruki Madarame is increasingly known in Japan among nuclear critics and opponents as "Detarame" Haruki, which rhymes nicely with his family name Madarame. "Detarame" in Japanese means "outrageous nonsense, lie, falsehood". These poor workers at the plant don't even need to go inside the Reactor 1 reactor building to get exposed to high radiation. 1000 millisieverts is 1 sievert. TEPCO announced on May 21 that the debris that emits 1000 millisieverts/hour radiation was found outside the reactor building of the Reactor 3, on the south side. According to TEPCO, it is a pile of concrete bits and paper-like materials. It is the highest radiation ever found on the debris outside the buildings. You can view all the past maps here. It was not enough for Prime Minister Kan to make the Emperor and Empress of Japan visit Fukushima, have them eat Fukushima food and bring some back home as souvenirs for the imperial household that has small children (including the future emperor of Japan). They are in Japan for the trilateral summit (which by itself irks a growing number of Japanese, but that will be another post). On the afternoon of May 11, the three premiers visited one of the evacuation shelters (a large gym run by the prefectural government) in Fukushima City. Prime Minister Kan approached Premier Wen and President Li and invited them over to the table where the vegetables and fruits produced in Fukushima were displayed. There were asparagus, tomatoes, strawberries. The three sampled cherries and ate cucumbers. President Li dedicated flowers and prayed for the earthquake and tsunami victims in Natori City, and said "All citizens of Korea have told me to convey their deep sympathy to the Japanese. 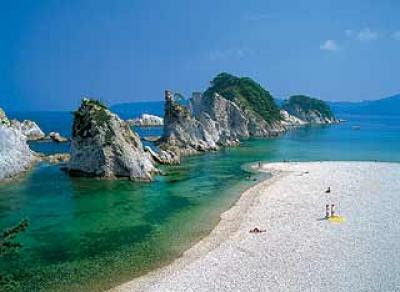 The courage and the stoicism of the Japanese people (after the quake/tsunami) has so impressed the world." Well, I wish they hadn't been so orderly and stoic. For their stoicity and perseverance, many of them are still living in shelters, sleeping on a floor of a gym and other cavernous public halls, partitioned by cardboard. I have nothing more to say about this silly performance by old men eating Fukushima vegetables, other than: "When these people say it's safe, don't buy, don't eat." I found this presentation at Arnie Gundersen's Fairewinds Associates website. I do not know who created the presentation, as there is no credit on the slides. I'm assuming it was Fairewinds Associates. The presentation was posted on their site on April 25. It shows GE's now notorious Mark 1 BWR nuclear reactor with actual photos and diagrams of the reactor, and explains how the accident progressed, given such design. So says Hiroaki Koide of Kyoto University Research Reactor Institute, in a telephone interview on May 19 with independent video-journalist Tetsuo Jinbo of Videonews.com (who did the video report of the 20-kilometer radius evacuation zone back in April, showing cows and dogs prowling the deserted towns). Koide is practically agreeing with Christopher Busby that there's not much anyone can do to stop the release of radioactive materials and further contamination of air, soil and water, other than somehow "entomb" the reactors (a.k.a. Chernobyl solution). 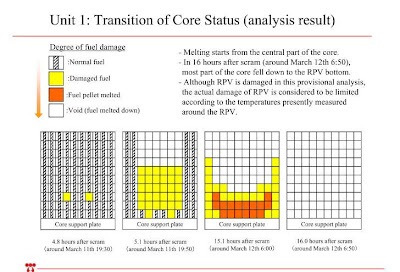 Koide reiterates his view that the corium (he says "melted fuel" and "melted core" in the interview for lay people, but it is melted fuel, and anything else that melted with the fuel inside the RPV) may have already escaped the Containment Vessel in the Reactor 1. (Assuming that TEPCO is telling the truth) the worst-case scenario of a hydrogen explosion inside the reactor caused by the melted fuel seems to have been avoided. I believe the Reactor Pressure Vessel has a large hole, not the small holes that TEPCO says. 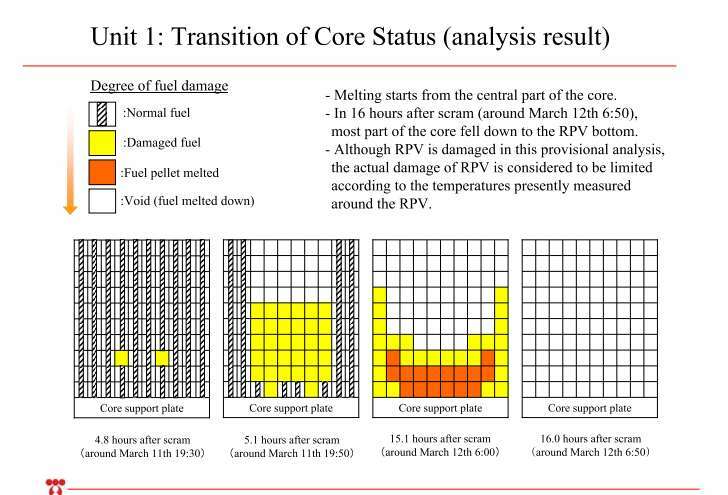 TEPCO cites the pressure and the temperature data as the reasons to believe the melted fuel still stays inside the RPV. However, I wonder if the pressure and the temperature data of the Reactor 1 is accurate. After all, the data on the water level was completely wrong. That much water has leaked (4,000 tons in the reactor building basement) and yet TEPCO says there's still pressure inside the RPV. It is impossible, given the structure of the reactor. There is no definite data as to whether there is any water in the Containment Vessel. Considering the reactor building basement is flooded with water, I think it is possible that the melted fuel already damaged the Containment Vessel. Outside the Containment Vessel, what's left as containment is the concrete foundation of the building. In order to have a reactor in "cold shutdown", you need to have the RPV intact so that the cooling water can circulate. No point in talking about cold shutdown when we don't even know whether the fuel is still inside the reactor. We're in the uncharted territory that we enter for the first time ever since the human race started to use nuclear power. As to whether the radioactive materials are going to be released into the atmosphere [from the meltdown and breach of RPV and Containment Vessel], I don't think it is likely as of now. The concrete foundation of the reactor building may have sustained some damage, but as a whole I don't think it is completely broken. I cannot properly assess the possibility of the corium melting through the concrete foundation and reaching the water table. If that should happen, the radioactive materials will flow into the ground water and contaminate the ocean even more. As to the the corium, I think the inside of the corium is not solid even if there's water in the reactor. The Suppression Chamber in the reactor building basement is torus-shaped. The location where the corium may have dropped is the center of the torus, and it is concrete. The thing to worry about is how far down the concrete the corium will go. The water circulation system using water in the building proposed by TEPCO is tantamount to admitting that the Containment Vessel is broken. It is a much more serious situation than I envisioned, and there's no other way to cool [the corium] other than the one proposed by TEPCO. However, if the corium goes into the concrete, no point in talking about circulating water to cool. There will be nothing you can do. The only way may be to entomb the whole building in a concrete coffin. I suspect that TEPCO's "roadmap" was created by the TEPCO headquarters under political pressure, and not by the TEPCO people in Fukushima I Nuke Plant who struggle everyday to contain the situation. If anything, the "roadmap" should be created by them, not by the headquarters. According to TEPCO's data, even now the fuel rods in the Reactors 2 and 3 are soaked in water up to half the height. Comparing Chernobyl and Fukushima, Fukushima is still on-going. There is a possibility of further hydrogen explosion, and it is still possible that Fukushima exceeds Chernobyl in terms of magnitude of the disaster. If you are curious about this maverick nuclear researcher, here's a good interview of him done in 2007 (translated from original Japanese). Koide entered the field of nuclear science full of hope for the peaceful use of nuclear technology in 1968, only to see the reality two years later when he saw Onagawa Nuke Plant being forced upon the residents and understood why. Ever since, he has continued to research nuclear energy as an opponent of nuclear energy. Well, since this prime minister claimed to be a "nuclear expert" during the early stage of the Fukushima crisis, he must have good reasons. Since the fuel was likely to have melted down by the morning of the day the seawater injection started, maybe it wouldn't have mattered anyway. It was revealed on May 20 that TEPCO had started the injection of seawater into the Reactor 1 at Fukushima I Nuke Plant sooner than the government had disclosed previously, but the company halted the injection for 55 minutes at the order from the government. There are some criticisms that the damage got more grave due to the delay in the seawater injection. Experts say the seawater injection should have been continued. The government information identifies the start of seawater injection at 8:20 PM on March 12. However, according to the data released on May 16 by TEPCO, the injection of seawater started at 7:04PM, but was halted at 7:25PM, and resumed at 8:20PM with boric acid mixed in the seawater. According to government sources, the seawater injection at 7PM was the decision made by the people at the plant. After inquiring at the Nuclear Safety Commission and [supposedly] finding out that there was a danger of recriticality if seawater was poured into the RPV, Prime Minister Naoto Kan ordered the halt. Afterwards, it turned out that there was no such danger, and the seawater injection restarted with boric acid. TEPCO has already announced its provisional assessment that due to the power loss resulting from the quake and tsunami, most of the fuel in the Reactor 1 had melted down by the morning of March 12. Chubu Electric Power Company released the one-page announcement (in Japanese) with colorful diagrams and photos of the condenser unit of its Reactor 5, where 500 tons of seawater entered the Reactor Pressure Vessel the other day when the reactor was being shut down. "Multiple" small-diameter (3 centimeters) pipes out of "about 21,000" that carry seawater to cool the steam that drives the turbine broke, probably having been hit by the end cap of the 20-centimeter diameter pipe for recirculating the water. Chubu's press release also says that a "small amount" of cobalt-60 was detected in the water chamber of the condenser. Chubu doesn't say how much, and but says cobalt-60 is one of the nuclides regularly found in the water in the RPV. Rest assured it wasn't released into the ocean, says Chubu. Why can't they say exact numbers, instead of "multiple", "about 21,000", and "small amount"? The number of these small pipes that broke was "about 20", according to Yomiuri (in Japanese; 5/20/2011). Yomiuri also says the end cap was welded, not threaded. During the regular inspection in February this year, there was no problem with either the small pipes or the end cap, according to Yomiuri. The Reactor 5 at Hamaoka started to operate in 2005. Other than bad weld, what could make the end cap to drop off like that? Shizuoka Governor: "We Won't Test Our Bulk Tea for Radiation, But Our Tea Is Safe, Trust Us"
I'm losing faith in the goodness and honesty of the agricultural growers in Japan, when they are organized into an association with political clout, like JA. Shizuoka Prefecture produces over 60 percent of all green teas (final blend) produced in Japan. Right now, it's the season for new teas ("shincha"). Some big money at stake, but recently the high level of radioactive materials was detected from tea leaves grown in Kanagawa Prefecture (east of Shizuoka) and the Ministry of Health and Welfare wants 14 tea-growing prefectures including Shizuoka to test their bulk teas before they are further roasted and blended ("aracha"). Shizuoka has said no. The governor of Shizuoka Heita Kawakatsu, an Oxford PhD elite who was all for Hamaoka Nuke Plant restarting its Reactor 3 back in March after the Fukushima accident, is dead set against testing the bulk teas grown and processed in Shizuoka, saying "It will just confuse the consumer if the radiation is detected." His government tested the raw tea leaves and the final blend, found them below the provisional safety limits (500 becquerels per kilogram for raw leaves, 200 becquerels per kilogram for final blend), so he declares Shizuoka teas to be safe. Then he hosts the "new tea" promotional event in Shizuoka, and declares "Shizuoka teas are so safe that I could drink it in gulps!" So, according to this Oxford PhD, a good-tasting tea is a safe tea. We've heard the similar remark from the governor of Fukushima and Fukushima JA (agricultural co-op) that Fukushima's vegetables taste so good that they are safe. Even if the raw tea leaves have low radioactive materials, when they are roasted into "aracha" the radiation level will go up. But then, when "aracha" is further roasted and blended with other "aracha" from other regions into the final products, the radiation level may go down. For the governor of Shizuoka, the beginning and the end are important. He clearly doesn't care or doesn't want to know what the middle may contain. Heita Kawakatsu, governor of Shizuoka Prefecture issued the "Safety Declaration" on green teas grown in Shizuoka on May 18. Shizuoka prefectural government tested raw tea leaves and blended teas for consumers in 18 locations in Shizuoka for radioactive materials, and the result showed the radiation level was lower than the provisional safety limit set by the national government [500 becquerels per kilogram, raw leaves; 200 becquerels per kilogram, final blend]. At the prefectural government hall, the governor drank a cup of new tea with the growers and declared it safe. As to the testing of the "aracha" that the Ministry of Health and Welfare is requesting, the governor said his government has no plan to test, because "it will confuse the consumer." Governor Kawakatsu spoke in the event on May 18 with people from 14 tea-growing locations in Shizuoka and appealed the safety of Shizuoka tea. "Let's celebrate the seasons of new green, by drinking our new green teas that we're so proud of. We want people all over Japan to enjoy our delicious tea." Tetsuo Tanaka, chairman of the JA Shizuoka branch said "Now it's confirmed by the government testing that Shizuoka teas are safe. We want everyone in Japan to drink Shizuoka teas without safety concerns." Based on that confirmation, Governor Kawakatsu decided not to test because "if we do something that confuses the consumer, that may deepen people's mistrust in the government." He said, "We have tested the tea that will be sold to the consumer and the raw tea leaves, and that's enough." Matsutaro Saito, chairman of the Tea Commerce & Industry's Association of Shizuoka Prefecture said "That's the word we're waiting for. As the tea merchant of Shizuoka we handle 70% of all teas in Japan. We are going to sell our new teas in close cooperation with the prefectural government." The Tea Commerce & Industry's Association's website has the test result. Raw leaves had radioactive cesium of between 44.23 becquerels/kg to 138.77 becquerels/kg (Shimizu-ku, Shizuoka City). The final blend had radioactive cesium of between 1.93 becquerels/kg to 10.91 becquerels/kg (Shimizu-ku, Shizuoka City). No radioactive iodine was detected. In Japan, safety has become a religion. If you say it's safe, test "aracha". If it's safe, he wouldn't need such stupid performance. The more we're told something is safe, the more fearful we become. Just look at what has happened at Fukushima I Nuke Plant. Don't gulp it down. Eat all leaves, too. No one's stopping you, governor. What is this silly trend of "safety declaration"? Isn't there anyone who says "We won't sell, because it may be harmful to the health. We will get the compensation money from TEPCO, or we'll sue the company if they refuse." The tea plantation in Shizuoka that I've been buying from has declared their tea is safe by measuring radioactive iodine only. I guess I won't be buying from them. Who said the radiation stops at the Hakone Mountains and will never reach Shizuoka? TEPCO Discloses Details of #Fukushima I Reactor 2 Entry: "Too Hot and Humid to Work for More Than 15 Minutes"
40 degrees Celsius, humidity over 90 percent (in the previous survey by the robots). 50 millisieverts/hour radiation, and the Spent Fuel Pool is apparently very warm. At one spot, the steam (highly radioactive) from the Spent Fuel Pool was condensing and falling like raindrops. But TEPCO says it will be easier to work in the Reactor 2 than in the Reactor 1, because the radiation is lower. 50 millisieverts/hour sure seems infinitely lower than 1,000 or 2,000 millisieverts/hour in the Reactor 1. 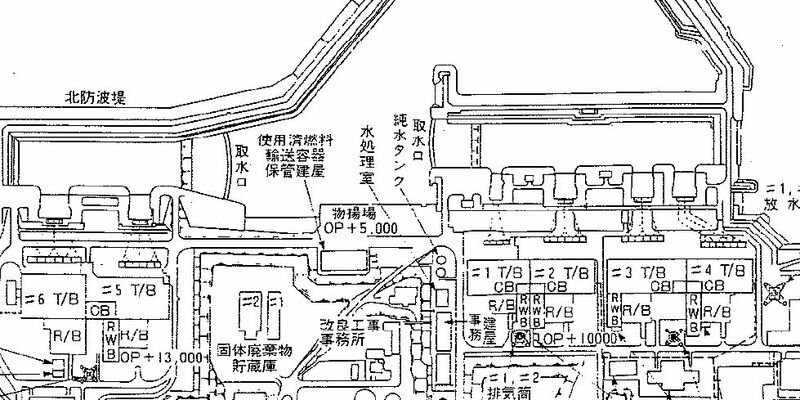 TEPCO disclosed the details of the survey of the interior of the Reactor 2 reactor building [done on May 18]. According to TEPCO, the temperature and humidity were too high for the workers "to work for more than 15 minutes". The radiation level was also high, at 50 millisieverts/hour at the maximum. In the revised "roadmap", the reactors 1, 2 and 3 are to be cooled with the external water cooling systems, but the condition inside the reactor buildings may jeopadize the work [outlined in the "roadmap"]. Workers entered the Reactor 2 reactor building in the morning of May 18. There were three water puddles inside the building. According to TEPCO, "there was one spot where the steam from the Spent Fuel Pool condensed inside the building and was falling like small raindrops." As the workers proceeded from the entrance, the temperature rose, making long works impossible. In the previous survey using the robots, the temperature registered 40 degrees Celsius. Nonetheless, TEPCO was of the opinion that "it would be easier to work in the Reactor 2 reactor building as long as the high humidity can be dealt with, than to work in the Reactor 1 reactor building where the radiation level was measured at 1,000 millisieverts/hour". TEPCO said it would install a system to cool the Spent Fuel Pool, and come up with some form of ventilation. What's left unsaid by the article or TEPCO is the now-admitted fact that the Containment Vessels of these reactors are damaged and leaking. How could they construct a cooling system that would circulate water that leaks from the RPV into the Containment Vessel back into the RPV, if the Containment Vessel is leaking? Could they fix the leak? Mainichi Shinbun (link is in Japanese) says one worker in his 40s fell ill after the work inside the Reactor 2 reactor building, and was treated for heat exhaustion. TEPCO announced that 2 TEPCO employees entered the reactor building of the Reactor 3 on May 18 in the evening. 4 TEPCO employees entered the Reactor 2 reactor building in the morning on May 18. It was the first time that human workers entered the Reactor 3 reactor building since the accident started. The radiation level was 160 to 170 millisieverts/hour at the maximum. TEPCO is preparing for the nitrogen gas injection into the Containment Vessel of the Reactor 3 in order to prevent another hydrogen explosion. 2 TEPCO employees with radiation protection suits and oxygen tank entered the reactor building for 10 minutes, and inspected the pipes and valves to be used for the nitrogen injection and measured the radiation level. Near the valves, the radiation measured 50 millisieverts/hour. 10 minutes in 170 millisieverts/hour environment will result in 28 millisieverts radiation. If I remember right, when TEPCO opened the double door of the reactor building of the Reactor 1 on May 8, the purpose was to reduce the amount of radioactive materials so that the workers' exposure is limited to less than 3 millisieverts. The radiation level didn't go down much at all, but the human workers entered the building anyway. Now that they openly admit to the total core meltdown in all three reactors, the pretense seems to have gone at TEPCO. High radiation? So? They've got a job to do. TEPCO announced the new and revised "roadmap" on May 17. Come what may (total core meltdown in 3 reactors? no problem), TEPCO still plans to wind down the accident in 6 to 9 months. They look pretty with color-coded progress indicators, graphics and photos. Prime Minister Kan must be pleased. TEPCO released the photos of the inside of the Reactor 2 reactor building. The photos were taken on May 18, when 4 TEPCO employees entered the building with tungsten vests on. The photos are taken on the 1st floor of the reactor building. Still moving. It's a protracted process... (Sigh). Have to test the DSL modem at the new place, but I'm sure Murphy will be there waiting. Public schools in Fukushima Prefecture say they are frustrated that there is no direction from the national government as to what to do with the school swimming pools. "Can we have swimming classes? Is it safe to drain water? Just tell us what to do!" What is surprising to me is that they were even thinking about using the swimming pool. The Council of School Administrators in Cities in Fukushima Prefecture, made up of school superintendents in all 13 cities in Fukushima Prefecture indicated in its May 18 regular general general that classes using the swimming pools at the cities' 500 elementary schools and middle schools won't be held this summer. During the general meeting, Iwaki City reported, "If the pool water is drained, the radioactive water will flow into the water for agriculture." Many cities were frustrated that there is no national guidelines for disposing the [radioactive] water in the pools. They were also frustrated that there is no radiation level set by the national government to allow the use of the pool. Date City said "Since we don't know the national standard, we can't judge. We can't persuade the parents without such standard," indicating it is not too eager to allow the use of the swimming pools. In other words, if there's a word from the national government that it is safe to use the swimming pool if the radiation level is, say 3.8 microsieverts/hour (just like the use of the school yards), these school administrators may be just as happy to let the children swim in the pools, and have them clean the pools like they do every year. As Professor Takeda said so eloquently the other day, these school administrators should resign immediately. They are not fit for being involved in any way in educating children. Hamaoka Nuclear Power Plant in Shizuoka Prefecture, where the sea water got mixed up in the Reactor 5's RPV (reactor pressure vessel) as the reactor was being shut down, had radioactive arsenic (As-76) released from the exhaust duct of the Reactor 5 ancillary building. Although arsenic (As) has multiple isotopes, only one of these isotopes, 75As, is stable; as such, it is considered a monoisotopic element. Arsenic has been proposed as a "salting" material for nuclear weapons (cobalt is another, better-known salting material). A jacket of 75As, irradiated by the intense high-energy neutron flux from an exploding thermonuclear weapon, would transmute into the radioactive isotope 76As with a half-life of 1.0778 days and produce approximately 1.13 MeV of gamma radiation, significantly increasing the radioactivity of the weapon's fallout for several hours. Such a weapon is not known to have ever been built, tested, or used. Standard atomic mass: 74.92160(2) u. There are so much information of the "incidents" that have occurred at this particular plant I don't know where to start. For now, suffice to say that this was the plant that Godzilla attacked in the 1984 movie ("Godzilla", series No.16); Godzilla must have had a very good reason. Chubu Electric announced on May 18 that a minute amount of arsenic-76, radionuclide, was detected at the exhaust duct of the ancillary building to the Reactor 5 reactor building at Hamaoka Nuclear Power Plant, where the sea water got mixed up in the reactor coolant while the reactor was being shut down. The company says there is no ill effect on the environment. The company thinks arsenic-75 present in the seawater turned radioactive inside the reactor. The company started the investigation as to why the sea water entered the reactor. They will drain the water from the main condenser to find out where the sea water came from and why. On the afternoon of May 14, as the Reactor 5 was being shut down, about 400 tons of sea water entered the reactor [other news says it was 500 tons]. There was no release of radioactive materials in the environment from the incident. It is the first time the workers enter the reactor building since March 15 when there was an explosion in the Suppression Chamber. According to Mainichi Shinbun (11:13AM JST 5/18/2011), 4 workers entered the reactor building of the Reactor 2 at 9:30AM to survey the interior of the building to prepare for the equipment calibration and installation of the cooling system. The workers will also go to the 2nd floor of the reactor building. The workers wear a "tungsten vest" to prevent external radiation exposure. They also carry oxygen tanks on them. Professor Mori says the pictures show that radioactive materials have been absorbed from the roots and distributed throughout the plants. He thinks the dark dots on the dandelion leaves are the radioactive materials landed on the leaves. Professor doesn't recommend tempura made out of these spring delicacies. 40,000 units of Geiger counters and dosimeters donated by the United States, France, and Canada after the Fukushima I Nuke Plant accident still sit in a warehouse at Narita International Airport, according to a Japanese blogger (yougen). The blogger says in his/her post (in Japanese) these Geiger counters and dosimeters are under the jurisdiction of the Nuclear and Industrial Safety Agency. Donations from foreign countries are handled by the Ministry of Foreign Affairs. Distributing the Geiger counters and dosimeters to the plant workers is done by the Ministry of Health and Welfare. Distributing the Geiger counters and dosimeters to civilians is done by the Nuclear and Industrial Safety Agency under the Ministry of Economy, Trade and Industry. This blogger attacks a Representative from Japan Communist Party because the Representative asked the Ministry of Health and Welfare why the Ministry hadn't distributed the donated Geiger counters and dosimeters to the residents in Fukushima. According to the blogger, this Representative is totally out of the line for asking the "wrong" ministry - it is METI's NISA in charge of civilians! How dare she asks such a stupid question! I thought that was very strange, but the main point of his/her post is that the donated radiation measurement devices still sit in a warehouse. Beside the Geiger counters and dosimeters, mountains of ramen noodles, water bottles, sneakers, blankets, underwear, socks, canned food, rice, mattresses, soap may be sitting at official distribution centers. Never mind that there are still many, many people living in shelters with scant food and water. Bureaucrats do what they gotta do, and that is to do what they are told to do by the book and nothing else. Hiroaki Koide of Kyoto University: "Melted Core Outside the Containment Vessel"
Hiroaki Koide of Kyoto University Research Reactor Institute is quoted by Mainichi Shinbun as saying that the melted core of the Reactor 1 is not just out of the Reactor Pressure Vessel but out of the Containment Vessel. Hiroaki Koide of Kyoto University Research Reactor Institute points out that "[TEPCO] could have foreseen the core melt at an early stage when the cooling of the reactor stopped due to the power failure. TEPCO's assessment that the damage to the fuel was limited has turned out to be completely wrong. The disclosure of the data came too late." According to TEPCO, the data analysis shows that damage to the RPV is not extensive. However, Koide thinks "The RPV has been completely damaged, the melted core bore a hole at the bottom of the Containment Vessel, causing the large amount of contaminated water to leak into the ground beneath the reactor building." Arnie Gundersen of Fairewinds Associates mentioned in the latest video, in passing, toward the end, that Fukushima I Nuke Plant has sunk about a foot (about 30 centimeters) and that the foundation of the buildings must have been damaged. One of the readers of my Japanese blog that has the Japanese translation of the video got curious and did some research using the data from the government agency (the Geospatial Information Authority of Japan), and came to a conclusion that the area where the plant sits may indeed have moved quite a bit, not just vertically but also horizontally. Horizontal: 220 to 250 centimeters to the east. If it is true, it's a big story. 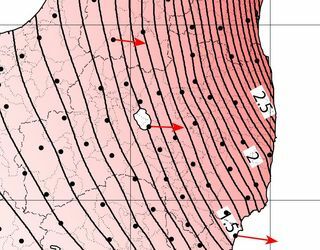 Large-scale land subsidence have already been reported in Iwate and Miyagi. 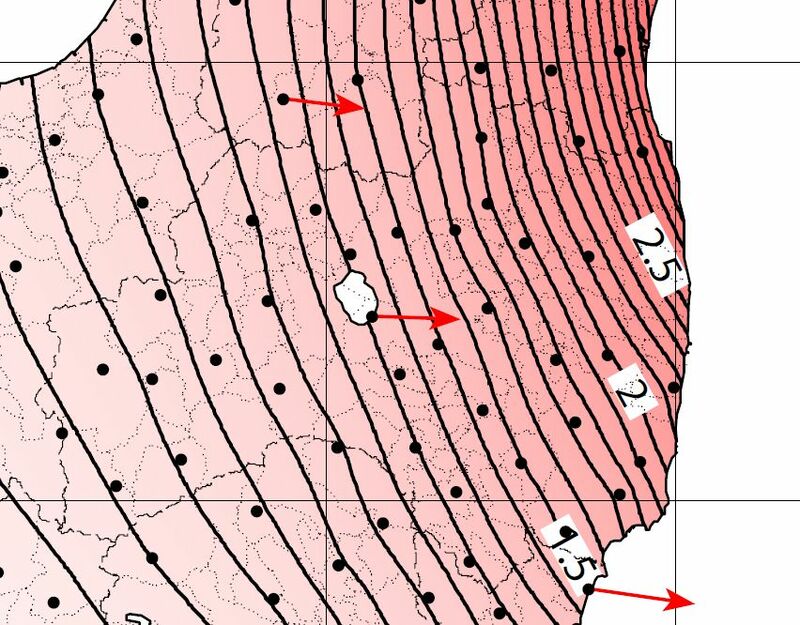 Overall, the land subsidence is between 20 to 80 centimeters. The southern-most city on this list is Minami-Soma City in Fukushima Prefecture, located 20 kilometers north of the Fukushima I Plant. The land subsidence is 30 centimeters. There are electronic points of reference, and these results have already been made public. 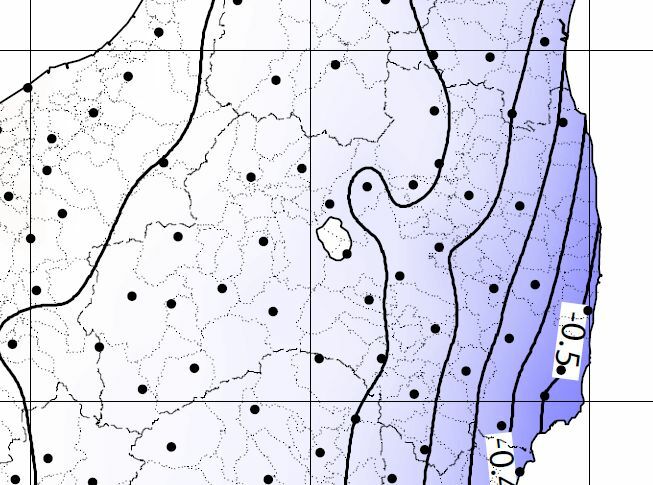 (Update) Here's the map of Fukushima Prefecture. Fukushima I Nuclear Power Plant is Located in Futaba-machi and Okuma-machi [red circle]. 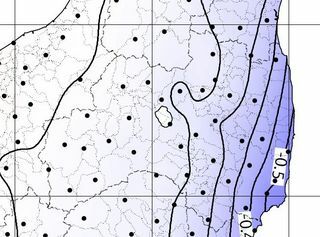 Fukushima II Nuclear Power Plant is located in Tomioka-machi and Naraha-machi [blue circle]. Horizontal movement: between 220 to 250 centimeters (possibly distorting the ground). These maps were created by the GSI; they are accurate, with the measurement error of 10 centimeters [for non-electronic points of reference]. If the ground shifted this much, I wonder if the foundation of the Fukushima Nuclear Power Plant has indeed sustained some grave damage. and the evaluation is whether the structure can withstand this force. This earthquake clearly brought about the distortion of the ground. Seismic safety evaluation should include the effect of land subsidence and horizontal movement. Needless to say, land subsidence and horizontal movement don't occur uniformly within the same plant compound. Is it even possible to build a structure that wouldn't be affected by an earthquake that distorts the ground? I suspect it is a given that the ground would not shift. I think this is a serious problem. Dr. Ono's bio says he once worked for TEPCO, before he quit and enrolled in a medical school. In his latest post (in Japanese), he diagnoses Japan's PM Kan and Nuclear Safety Commission chief Madarame as suffering dementia, based on their remarks about the state of the Fukushima I reactors. 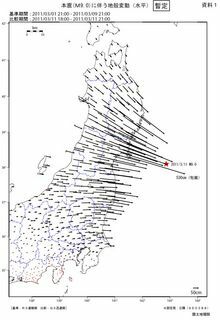 The Geospatial Information Authority of Japan has an interactive map that shows the ground movements (vertical and horizontal). It's in Japanese only. Click on a red dot (point of reference), and you can see how much movement that point has experienced. US NRC to Stop 24-Hour Fukushima Watch, "Situation Stable and Improving"
Just when TEPCO and the Japanese government are coming clean of what they knew all along - that it was a core meltdown in all three reactors at Fukushima, the US Nuclear Regulatory Commission announced that it will stop monitoring Fukushima on the 24-hour/day basis because the situation is now "stable" and continues to "improve". The NRC must have known all along about the core meltdown, if what they claimed was true, that they had access to all the information that TEPCO had. Fun to see the spin by one of the MSM in Japan. Now they are all saying core meltdown, complete core meltdown, we knew from the beginning, we knew in March. It's hysterically comical. Particularly hilarious is Haruki Madarame, who now basically says "we knew that", while he was the one who told the PM on March 12, "Don't worry, the nuclear reactor doesn't break." Yes, there were nuclear experts and independent journalists in Japan and around the world who said it was a meltdown, and they were attacked by the government and the MSM like Asahi as "fear-mongering". I thought so too, after reading the entries on wiki on Three Mile Island, Chernobyl, and corium, among others. But it isn't true until the official, government-approved sources say so, and it is now, after more than 2 months: complete core meltdown in all three operating Reactors at Fukushima I. What's next? Recriticality, maybe, announced in two months or so? Quick and dirty translation, subject to later revision. 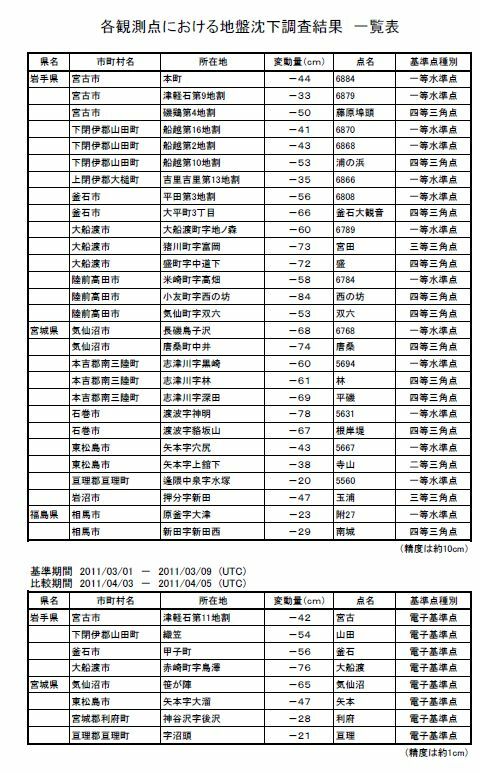 The data disclosed by TEPCO on May 16 shows that core meltdown may have occurred in the Reactors 2 and 3 at Fukushima I Nuclear Power Plant. In the Reactor 3, the melted fuel may have dropped to the Containment Vessel. Nuclear experts have pointed to the possibility [of meltdown in the Reactors 2 and 3] and Prime Minister's Assistant Goshi Hosono hinted at the possibility in the May 16 press conference. According to TEPCO's "roadmap" on April 17, it was going to take between 6 to 9 months to shut down the reactors. The revision of the "roadmap" will be inevitable now that both Reactor 2 and Reactor 3 may have had a meltdown, as it will take more time to build a cooling system for the reactor core, and the massive amount of highly contaminated water will need to be processed. 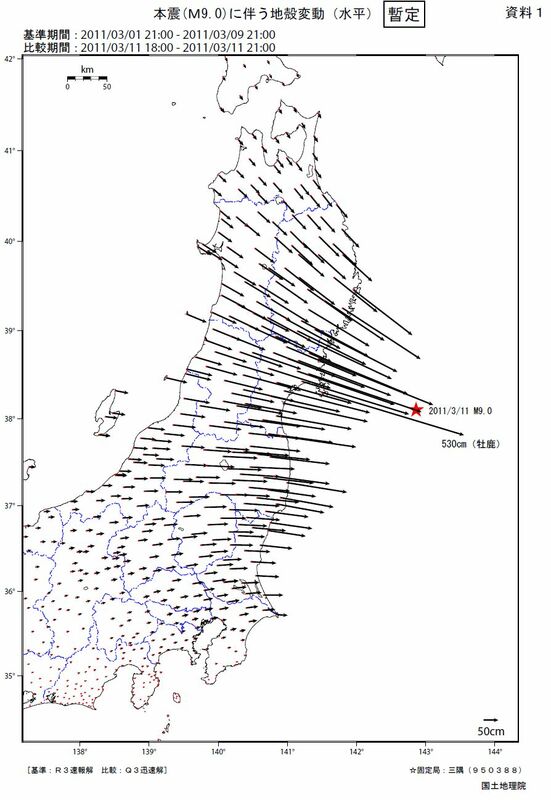 The data disclosed on May 16 was the data right after the earthquake on March 11. It took TEPCO some time to retrieve the data from the central control room of the plant because of the long period of power outage and the radioactive materials on the recorded printout. The data in 4 large binders includes graphs on the printout and operation diaries kept for each shift. 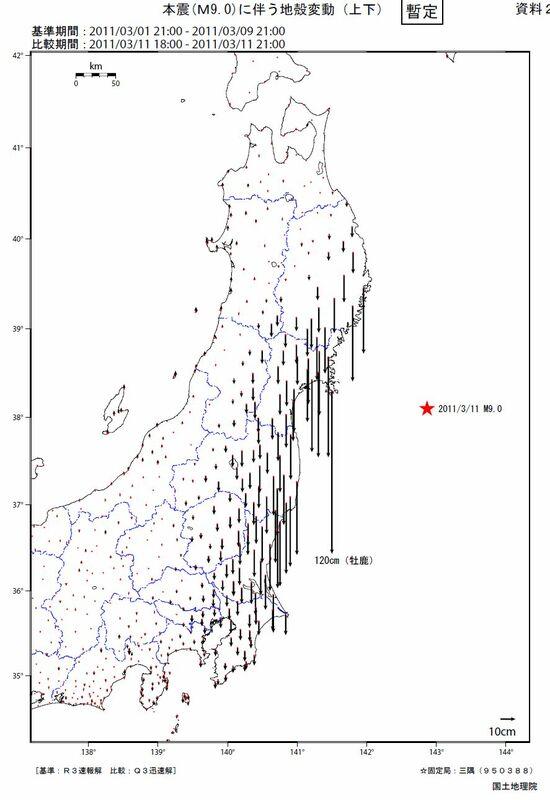 According to the data, the pressure inside the Reactor 2 RPV (Reactor Pressure Vessel) dropped at 6:43PM on March 15 (JST), and the pressure inside Reactor 3 RPV dropped at 11:50PM on March 16. The integrity of the RPVs were compromised, it is thought, and the pressure went down. There are many channels that go through the bottom of the RPV [16 centimeters thick] to insert control rods and measurement devices. The melted fuel went down to the bottom of the RPV, and may have melted the devices at the bottom. The contaminated water from the Reactor 3 has been found to contain the radioactive materials like technetium that are produced when the nuclear fuel gets damaged, indicating that the melted fuel may have dropped from the RPV into the Containment Vessel. In the press conference, TEPCO refrained from saying anything definite. "We haven't fully grasped the situation at the plant, and we haven't been able to evaluate it." PM Assistant Hosono said that there was no water being poured into the Reactor 1 for 14 hours and 9 minutes, Reactor 2 for 6 hours and 29 minutes, and Reactor 3 for 6 hours and 43 minutes. He said "We should be prepared for the possibility of the complete meltdown of the reactor core." Haruki Madarame, chief commissioner of the Nuclear Safety Agency spoke after the regular meeting of NSA on May 16. "When the highly contaminated water was found coming from the Reactor 2 in late March, we recognized that the reactor had had a meltdown, and advised [the government]. We also knew that the Reactor 1 and 3 had the same situation, looking at how the accident unfolded." According to TEPCO, based on the records, the Reactors 1, 2 and 3 stopped automatically after the quake, and there was no sign of any physical damage to the reactor. Emergency diesel power generators were working. TEPCO concluded that all the equipments were working normally after the quake and there was no major damage to the plant until the tsunami hit. Asahi Shinbun, one of the MSM in Japan, says in the article published at 3:01AM JST 5/17/2011 that core meltdown may have occurred in the Reactors 2 and 3 at Fukushima I Nuclear Power Plant, according to the data that TEPCO disclosed on May 16. That data is here, as I posted in my previous post. Translating Asahi's article right now, and will post ASAP. It is like TEPCO and the Japanese government saying "Well it happened, and nothing we can do about it now. So here's the data, if you want." Let's see if any nuclear researchers in Japan, whether they are paid by the government or not, steps up and explain the data for the rest of us. They've been awfully quiet, except for a few vocal critics like Chubu University's Takeda and Kyoto University's Koide, and even they don't share their analysis of TEPCO's data very much with the lay people. From their press release, their English. It's in "secure" mode, and I can't even do the screen capture. Take a look at page 3 and page 4. The temperature reached the core melting temperature in about 4 hours, when the water level dropped to the bottom of the fuel. From there, nothing could stop the melt, all of it. We're in the middle of moving, and we're doing the moving by ourselves. The Internet connection has to be tested at the new place, and I'll have to go offline. Watch out the news for me for a few hours (I hope). I'm removing the comment moderation in the meantime, so you can post anything you want in the comment section. TEPCO announced on May 15 that it started to use boric acid in the reactor cooling water for the Reactor 3 at Fukushima I Nuclear Power Plant to prevent recriticality from happening. Boric acid absorbs neutrons. TEPCO plans to do the same for the Reactors 1 and 2. Recriticality is when the nuclear chain reaction is restarted. There is salt in the Reactor Pressure Vessels of the Reactors 1, 2 and 3, as TEPCO initially poured seawater to cool the RPVs. TEPCO thought the salt would absorb neutrons. TEPCO has decided to use boric acid in the cooling water because the level of salt in the cooling water may have decreased since TEPCO switched the cooling water from seawater to regular water. In the meantime, the temperature at the top of the Reactor 3 RPV has risen rapidly. TEPCO increased the amount of cooling water to 12 tons per hour on May 12 using two water feeding systems, then to 15 tons per hour on May 14. However, the temperature at the top of the RPV increased by 46.5 degrees Celsius in 24 hours to 297 degrees Celsius as of 5:00AM on May 15. TEPCO thinks there's a problem with the pipes that feed water into the RPV. The utility revealed its study on the subject on Sunday. TEPCO said it analyzed the data and calculated a timeline for the developments in the No. 1 reactor on the assumption that the reactor lost its cooling system as soon as it was hit by the tsunami. The firm said that within about 3 hours after the reactor automatically shut down, the cooling water had evaporated to a level at the top of the rods. In the next hour and a half, parts of the fuel rods are believed to have begun melting. The temperature of the fuel rods is believed to have reached 2,800 degrees Celsius at this stage, and the meltdown advanced rapidly. 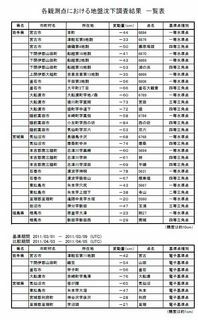 Almost of all the fuel rods melted and dropped to the bottom of the pressure vessel by 6:50 am on March 12th. TEPCO said the temperature dropped after water was poured into the reactor starting at 5:50 am on the same day. The firm says the melted rods created small holes on the bottom of the vessel, but that no major problems are developing there. It believes that the amount of radioactive substances that could spread from the reactor will be limited. During the Three Mile Island accident, slow partial meltdown of the reactor core occurred. About 19,000 kg of material melted and relocated during about 2 minutes, about 224 minutes after the reactor scram. The first phase lasted only several seconds, with temperatures locally exceeding 2600 °C, when a zirconium-uranium-oxide melt formed from no more than 30% of the core. The plant has sunk about a foot, and the concrete foundation may have cracked. So what was the "step forward"? That TEPCO was able to enter the Reactor 1 reactor building to install equipments to measure the true water levels. He also refers to the ramification on the US nuclear regulations now that it has been proven possible for a Containment Vessel to get damaged. The Containment Vessels for the Reactors 1, 2 and 3 at Fukushima are all officially acknowledged to have been damaged. Toward the end, he mentions a high school in the contaminated area 50-60 kilometers from the plant. He says it is unconscionable to keep the school open.